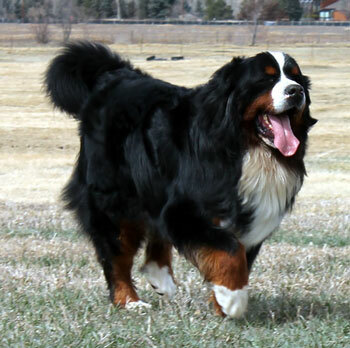 Big, beautiful Charles the "charmer" is all about fun. 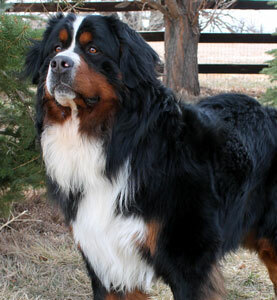 Not only is he gorgeous, Charles has a gentleman personality full of all the typical Berner love traits. 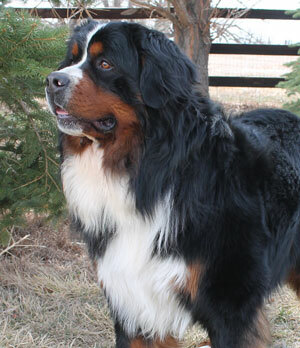 He loves to sit on your feet, roll his head around like an owl for a pat and is great at the "Berner leg grabs" if you aren't paying enough attention to him. 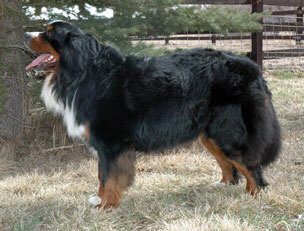 Charles is owned by a good friend of mine and we are proud to have had him sire several of our Haystack puppies. 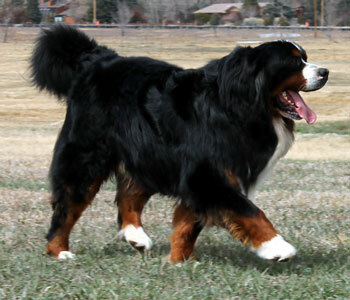 He is European bred and both Canadian as well as AKC registered. Charles has been Penn Hip certified scoring in the 70th percentile (top 30th). 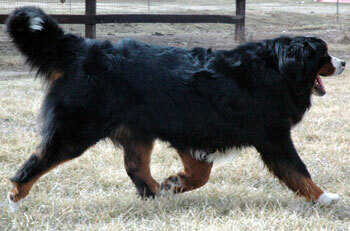 He is OFA certified cardiac normal, CERF certified clear of any eye defects and Von Willebrand's tested normal. We are excited to show off his pups! RIP, we will miss you Charles, but your kids live on in our bloodlines!